The Biggest Little City just scored a big milestone. The Largest data center building in world opens near Reno! The first building in Switch's Campus has officially opened for business at the Tahoe Reno Industrial Center east of Reno-Sparks. Called "Tahoe Reno 1," the 130-megawatt facility is one of several data center buildings planned for the project. "The first building features 1.3 million square feet of data center space and is the largest single data center in the world," said Adam Kramer, Switch vice president of strategy. Prior to Tahoe Reno 1 coming online, the title of largest single data-center building belonged to the Lakeside Technology Center in Chicago at 1.1 million square feet. So what does Switch do? 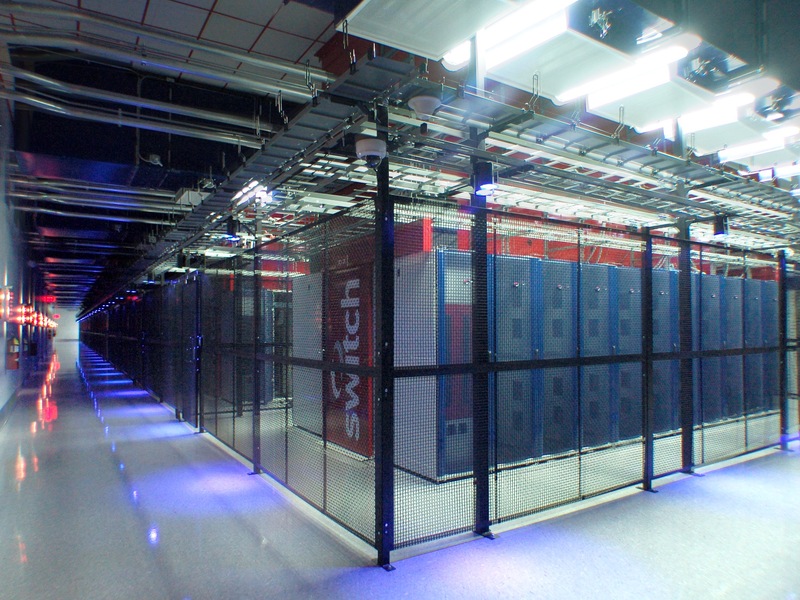 Unlike companies such as Apple, which builds and runs its own data centers for its own services - Switch builds data centers and leases space and equipment to its clients, who are responsible for operating and maintaining them. Switch has more than 1,000 clients. Users include eBay, HP, EMC, Intel, Shutterfly, Amazon, Wells Fargo, DreamWorks, JP Morgan Chase, Sony, Boeing and Fox Broadcasting, among others. building is part of a grander plan to build the biggest data center campus in the world. First announced as the SuperNAP Tahoe Reno, the Citadel Campus will be 7.2 million square feet in size once finished - up from the originally planned 6.5 million square feet. Tahoe Reno 1 represents the first two sectors out of a total of 12 that are planned for the campus, Kramer said. 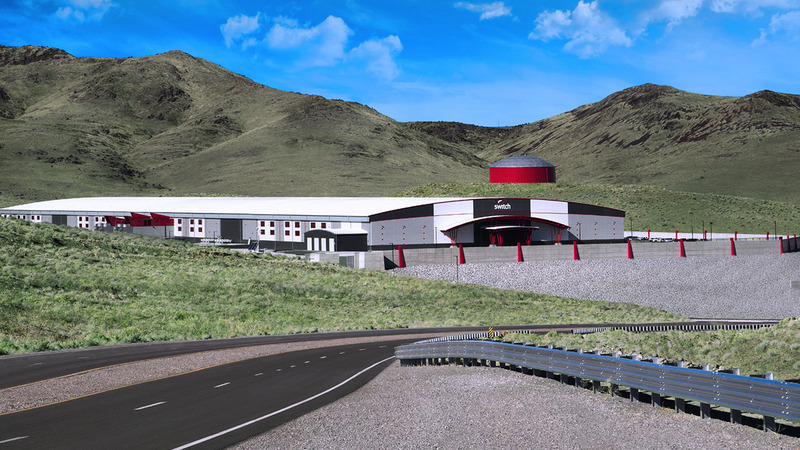 Combined with Switch Las Vegas campus, the Northern Nevada campus helps complete Switch's "Superloop" network, allowing for faster data transfer speeds with California. 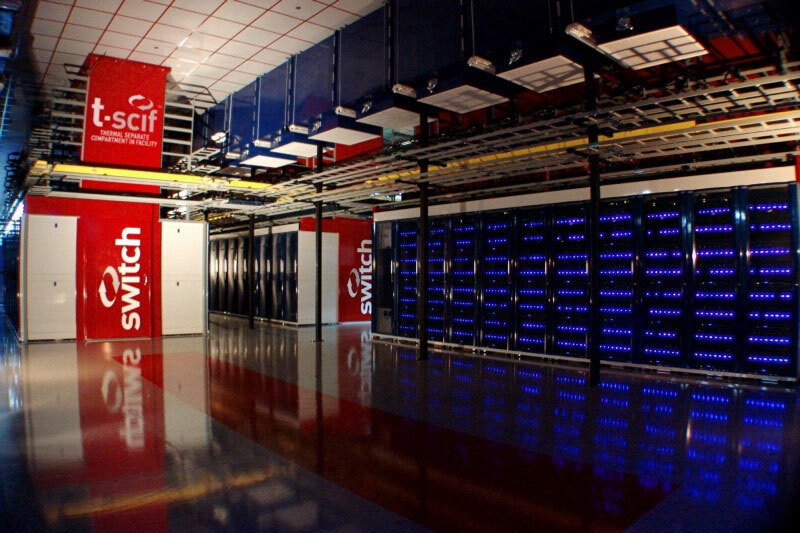 Founded in 2000 by CEO Rob Roy, Switch's facilities feature "colocation data centers" that provide space for a multitude of private clients unlike typical data centers that house data for one company. Like its Tahoe Reno Industrial Center neighbor, Tesla's Gigafactory, the Citadel Campus could serve as a good recruiting tool for the area, Kramer said. It also plays a big role in Switch's plans for future growth given today's technology landscape, he added. "Ninety percent of the world's data was created in just the last two years," Kramer said. "The Internet is growing at an exponential rate." The 2,000 acre campus, located in the Tahoe Reno Industrial Center next to the Tesla Gigafactory, is powered by 100-percent renewable energy, cementing Switch's deep commitment to industry-leading green energy. Greenpeace scores Switch among the highest for any class of company and the definitive leader among colocation operators according to its Clicking Clean report. This report shows the choices and the progress made by internet companies towards building a "green internet." Switch is the only company with a 100-percent Clean Energy Index and the only one to earn all A grades in the Greenpeace Scorecard. Surrounded by a 20-foot-high, solid concrete wall, The Citadel Campus in Tahoe Reno is a technology fortress that is unsurpassed for security, reliability, connectivity, and energy sustainability.